There may be a new HTC smartphone making its way onto T-Mobile’s shelves soon. A new rumor says that the HTC U11 Life will be sold by T-Mobile. That’s according to Reddit user Tylerjames09, who claims to be a T-Mobile store manager who recently got a shipment notification for the HTC U11 Life and accessories. This is the second time that the rumor mill has claimed that the HTC U11 Life is T-Mobile-bound. A report from early August suggested that the device would be offered by T-Mo in addition to being sold unlocked by HTC. 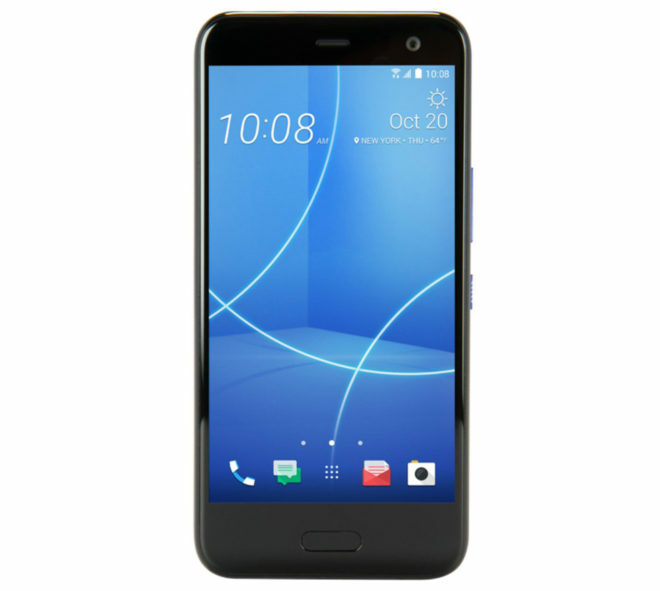 In terms of specs, the HTC U11 Life is a mid-range device. It’s rumored to be packing a 5.2-inch 1920×1080 display, Snapdragon 630 processor, 16-megapixel front and rear cameras, and a 2,600mAh battery. Also said to be included with the U11 Life is an IP67-rated body for dust and water resistance and Edge Sense, the HTC U11 feature that lets you squeeze the sides of the phone to perform actions. It’s unclear exactly when the HTC U11 Life might launch at T-Mobile or how much it might cost. We haven’t seen much of HTC on T-Mo’s shelves lately, though, so it’d be nice to see a new HTC device bring some more variety to T-Mobile’s phone selection. Amazon should just acquire SprinT-Mobile , Dish , Taj Majal Atlantic City , William Hill/Betfair , Cuba , and create their own Bitcoin. Would be the richest, most powerful nation on Earth… I’d elope in a heartbeat. This’ll be a good mid range offering. It almost enticing to downgrade from my G6 just to get back to HTC. Something about HTC devices just makes them buttery smooth. Agree with you their! That’s one major reason I left android because it was the only one thing keeping me in android, however I like you said something about HTC! HTC is one of the most underrated brands. It’s a shame they’re not doing better. Although I’m glad they’re making such an influence on the Pixel devices. It shows their ideas were valuable. The U11 is a disaster. My radios quit after two months and HTC sited a massive part shortage for the reason that it will take at least four weeks for the repairs. It has been four weeks and there is no end in sight. Why would you have a massive parts shortage? Higher than expected failure rates! Why would the radios be different in the U11 Life or U11 Plus? HTC does again!!! Shoot itself in the foot!!! Fine you want to make mid range phone good,but at least make it between 5.7 -6″. Look at LG,ZTE, get with the times HTC,you were once king of big phones,now you are so far behind it is not even funny..
Well that’s why they are announcing the U11 plus as well. That should satisfy you. I see your point but those Samsung phones aren’t very good. My bro has the J7 and it’s laggy and the mega was not a good phone either. Samsung and mid tier should not ever be a thing. Yeah but U11 Plus ain’t coming to Tmo. It prolly ain’t even coming to the Western Hemisphere… at least not the 128/6gb version – would be a first for any maker at all to bring over their overseas high spec version. At the present exchange, that’s a thousand $… who wants to pay that for 64gb or less & 3/4 ram when you can do so for any present flagship and get better patch/upgrade support. If this phone supports the 600 MHz band, then it will have an excellent chance of being sold by TMO for the foreseeable future. If not, it won’t last long.